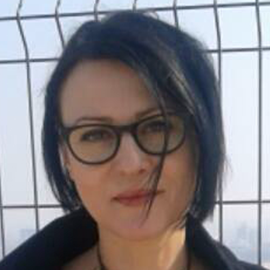 NICOLETA NAP studied Philosophy and Law at the University in Cluj, and spent 12 years working in journalism in the same city of Cluj-Napoca. She was also a lead singer in a punk rock band. From 2013 she lives in Bucharest. ușor desincronizat, aproape imperceptibil (slightly unsynchronized, almost imperceptible) published by Casa de Editură Max Blecher in 2017 is her first (debut) poetry book. She translated from English for Poesis International.